Mcdonald’s Kiddie Crew Workshop is a 5-day workshop where in kids can experience in-store restaurant training. This will help teach kids values such as hard work, responsibility, teamwork, honesty, sharing, and active lifestyle. 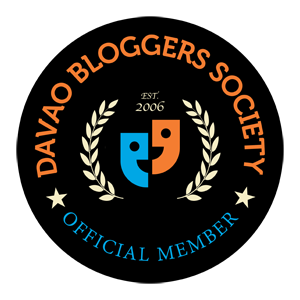 The Davao Food Appreciation Tour is the first, longest-running, and most anticipated food and travel event by bloggers for bloggers. One day, while browsing through FB, we found photos of Bukidnon. The place is like the Baguio of Mindanao – cold and foggy, strawberry fields, and scenic views. We then, found the facebook page of WanderLAAGS who offered a Bukidnon trip for only PHP890.00. Not bad. Even though we were the type who doesn’t like joining tours and organized trips, we grabbed this one. Four tourist destinations for PHP890.00 was already a good deal – Kapayawan Ridge, Cedar, Monastery of Transfiguration, Lake Apo. I haven’t been to any of these places yet, so, I was super excited. BeautyMNL is the biggest beauty site in the Philippines where Filipinas can discover something new and pretty everyday. They have a huge variety of products available for you to choose from – skincare, makeup, haircare, nails & scents, organic and accessories. They are famous for their “selfie coffee” which is a first in Southern Mindanao, wherein your selfie, or a picture of your choice, will be printed on top of your coffee cup for an additional amount of PHP70.00. Thank You 2016, Hello 2017!